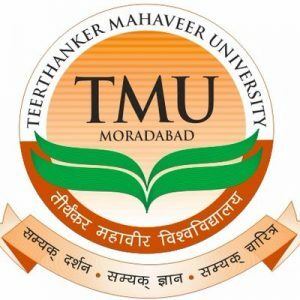 About TMU Entrance Test: Teerthanker Mahaveer University Entrance Test is a University Level Entrance Test conducted by Teerthanker Mahaveer University, Uttar Pradesh for admission into various undergraduate and postgraduate programs. Level: TMU Entrance Test is a University Level Entrance Test conducted once in every year. Conducting Body: Teerthanker Mahaveer University, Uttar Pradesh will be conducting the TMU Entrance Test for all the aspirants. Exam Mode and Date: TMU Entrance Test 2019 will be conducted offline i.e. Pen and Paper-based Test (PBT) for all the aspirants on 13th July 2019. Courses Offered: Through TMU Entrance Test candidates can get admission into various undergraduate and postgraduate programs in Teerthanker Mahaveer University, Uttar Pradesh. 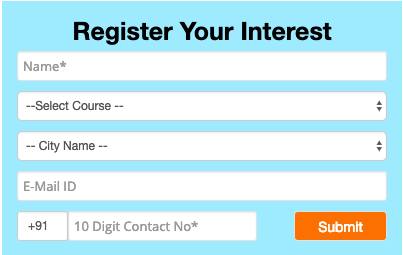 Registration: Application Form will be available on the official website of Teerthanker Mahaveer University from 1st March 2019 and the last date to submit the Application Form will be on 15th June 2019. Admit Card: The Admit Card will be released online for all the aspirants on 20th June 2019. Examination: TMU Entrance Test 2019 will be conducted offline i.e. Pen & Paper-based Test (PBT) on 13th July 2019. Results: Results will be declared on the official website for all category candidates based on qualified marks on 21st July 2019. Counselling: Candidates who have cleared the TMU Entrance Test 2019 will be called for the counselling process which will be held on 30th July 2019. The candidates must have passed 10+2 examination with Physics, Chemistry, and Mathematics as a mandatory subject from a recognized Board of Education. The candidates must have passed 10+2 examination with Physics, Chemistry, and Biology (Botany & Zoology) as a mandatory subject from a recognized Board of Education to apply for MBBS. The candidates must have passed a Master's Degree in the relevant field from a recognized University/ Institute to apply for M.Phil and Ph.D. Registration Date: Application Form will be available on the official website of Teerthanker Mahaveer University from 1st March 2019 and the last date to submit the Application Form will be on 15th June 2019. Registration Fee: The candidates have to pay the registration fee of INR 1000 for all category candidates. Payment Mode: Candidates should pay the Application Fee by cash in the university itself to avail the Application Form. Website: The candidates can download the Application Form from the official website, then fill the form and attach the Demand Draft of INR 1000 in favor of the ‘Teerthanker Mahaveer University’, payable at Moradabad. Note: The Name, Address and Phone Number of the applicant should be clearly mentioned on the backside of the Demand Draft/ pay order. Availability: TMU Entrance Test 2019 Admit Card will be available on the official website from 20th June 2019. Mode: TMU Entrance Test 2019 will be conducted offline i.e. Pen & Paper-based Test (PBT) for all the aspirants on 13th July 2019. No. of Questions & Marks: TMU Entrance Test 2019 will consist of 120 questions in a total of 120 marks. Merit List: A separate merit list will be prepared by the authority based on the marks secured by the candidates in TMU Entrance Test 2019. Note: The contribution of the applicant in any procedure of illegal actions refuses the applicant from looking for admission in any program of the university. Process: The TMU Entrance Test 2019 Counselling will be held in two phases Phase I and Phase II. If you have appeared in a qualifying examination and the result is awaited, you can take provisional admission. However, in all circumstances, you shall have to submit the result in the university latest by October 31, except where Regulatory Council’s norms prescribe otherwise. Attach self-certified copies of your mark sheets/testimonials with the application form. At this stage, do not send any original copies of mark sheets/ testimonials. If any document/declaration submitted by the candidate is found to be false/ forged at any stage, his or her admission shall be canceled and he/she may be liable for prosecution under the law. Involvement of candidate in any form of criminal activities debars the candidate from seeking admission in any program of the university. Concealment of information on this account will lead to cancellation of admission if detected subsequently. If the University is not satisfied with the character, past behavior or antecedents of a candidate, it may refuse to admit him/her to any program of study in the University. It is advisable that students seeking admission in the University should visit along with their parents/guardians to see the in frastructural facilities such as classrooms, laboratories, library, hostel, and transportation. This may facilitate their decision at the time of counseling/admission.